1. I was able to make my own ice cream using the Coleman Jug. By putting all the required ingredients in a cup and mix it well before transferring in a resealable plastic container. Then put it in a Coleman Jug with some ice and shake it for at least 10 minutes. 2. 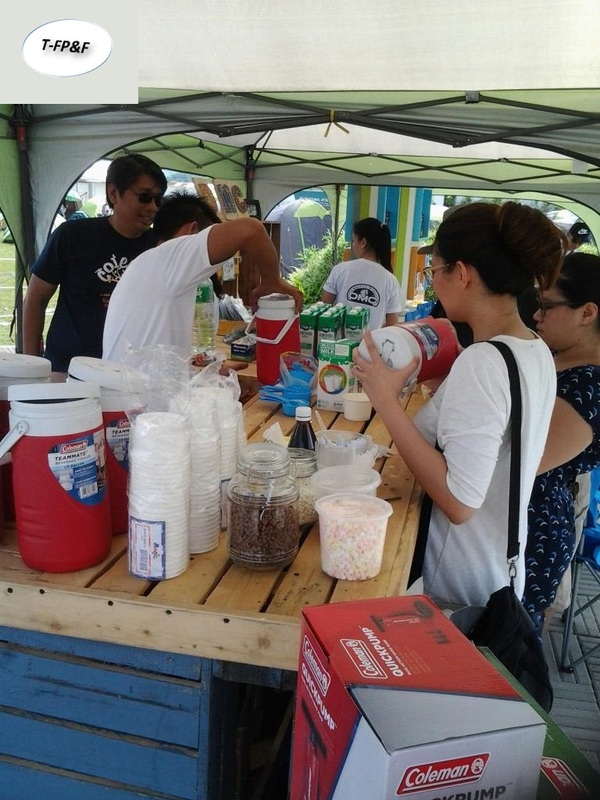 We have a complimentary, lunch and dinner meal from any of the food concessionaires and for our breakfast, it is a buffet with an overflowing drink like juice and coffee. 3. I became a kid again in Kite-Crafting and Kite-Flying. All of the campers was able to experience creating their own kite, decorate it using all available colored paints, and watch it soar to the sky. 4. I was able to attend in the Field Survival Lessons, I’ve learned basic field survival straight from the experts and able to tried putting up your own shelter and how to make a fire. 5. Although I did not try some of the field events like Flow Arts, which let you learned to dance with poi and hoops and Drum Circle, which let you learned how to play the Djemble but I was able to witness each of that activities, hopefully in the next event I can join them. 6. I feel relax while watching and hearing the cool voices of our very own music artist in the BrightScape Music Jam such as Chocolate Factory, Absolute Play, Imago, Brisom, The Ransom Collective, Barbie Almalbis and Quest. All campers were able to go with the beat and to be able to jam with the songs. 7. I was able to witness the classic presentations of the Shadow Puppet Theater and the beat of the Adinkra Lumads Djembe Community, which showcases their flow arts like Ring of Fire, dancing with poi and hoops to the beat of the drum circle team. 8. I was able to witness the setting up the bonfire as for that night celebration for a great atmosphere in that event and we’re able to make our S’mores by melting the marshmallows and putting it in cookies with chocolates. 9. 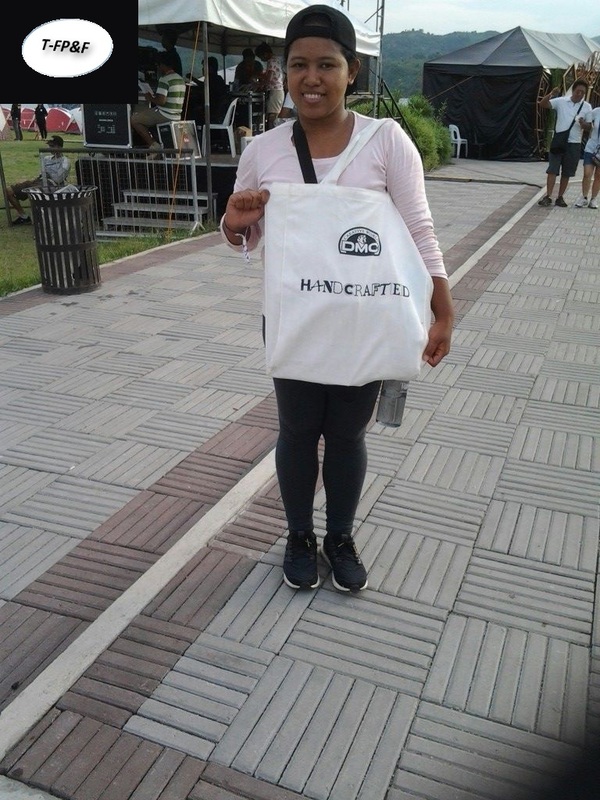 It is memorable events for me and to my blogger friend Dianne Salonga Rosqueta because she just won not one but twice in the event raffle draw that consist of Coleman, DMC, and Northface products. 10. This is my first time to be a camper and experienced sleeping at the camping grounds using the camping tent provided by Coleman with my blogger friends, that experienced was so cool. 11. I was able to try the not so common rides at the Sandbox in Alviera, such as Giant Swing which after you both seated, the operator will pull the string to make you on top and suddenly release and will swing you up high. My blogger friend really enjoyed this ride, why? Because she did cry! 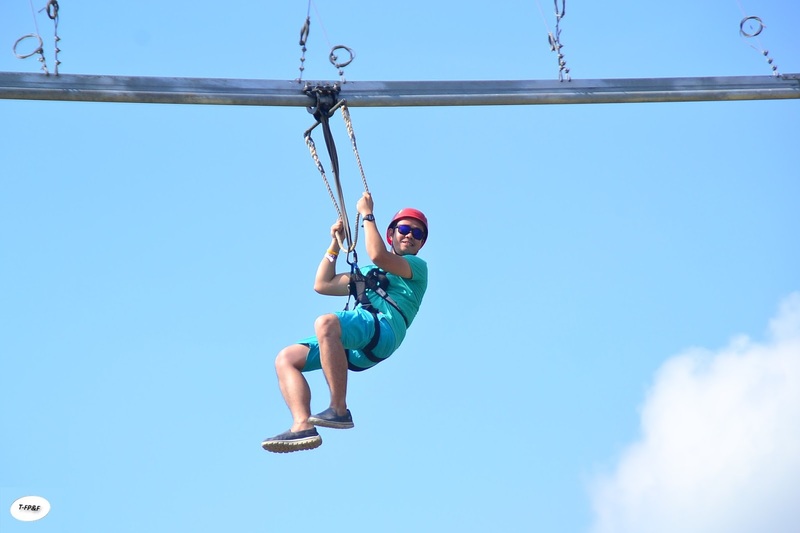 Another ride is the Avatar One Zipline, this not the common zipline we know which is a straight line, but this one is like a roller coaster zipline (not as fast as roller coaster), it is the country’s first roller coaster zipline that will give you some thrill. 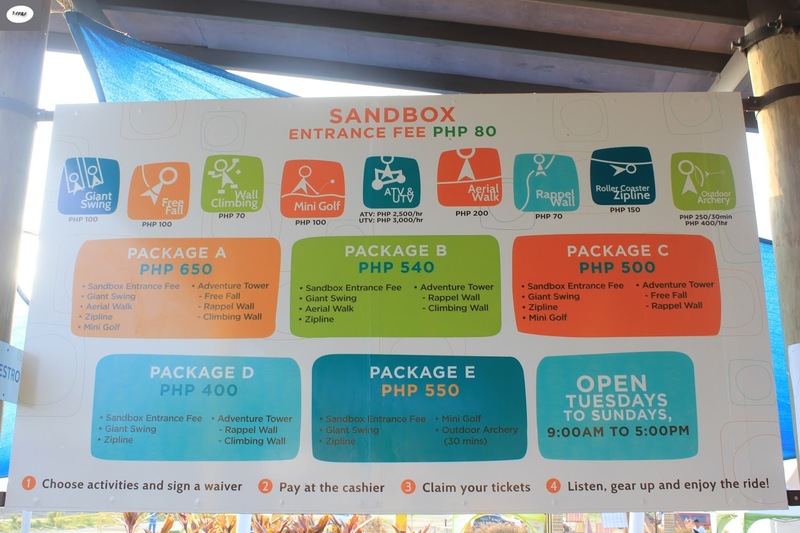 Alviera highlights summer adventure with Brightscape Campfest, for weekenders savoring the last days of summer, the Alviera Brightscape Campfest held last May 30-31 was clearly the highlight of the season. 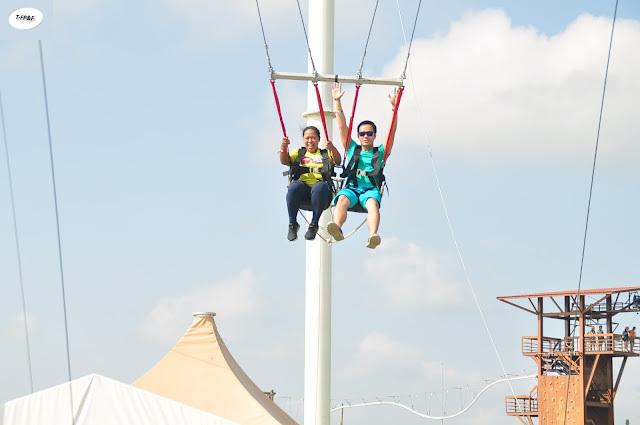 Alviera, located in the vast windy terrains and at the center of the beautiful mountain ranges of Porac, Pampanga, became the site of all things spelling summer fun. Arts, music, and outdoor activities all combined to celebrate a camp adventure like no other. 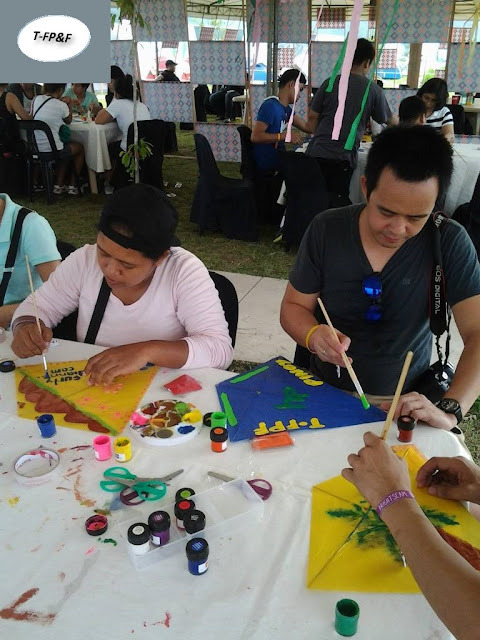 Visitors from Metro Manila, Pampanga, and other nearby provinces flocked to SandBox to enjoy its numerous attractions, as well as Brightscape Campfest events and activities. 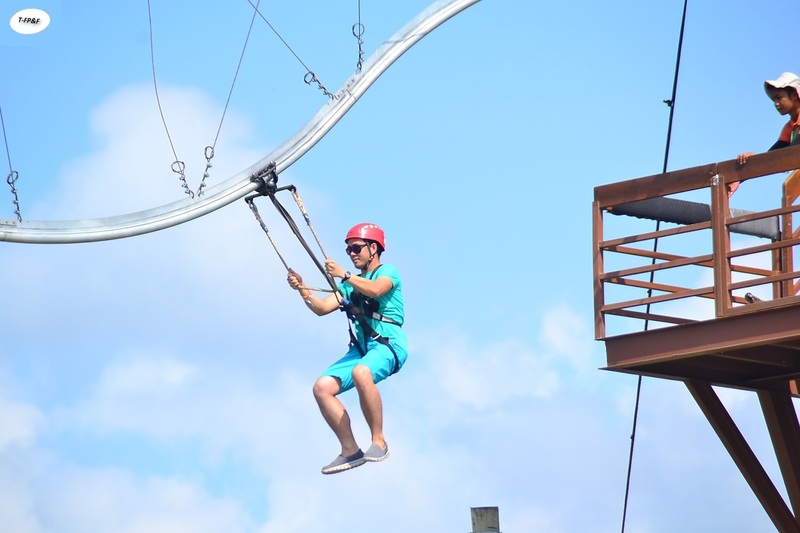 People enjoyed the thrills of the many activities in Sandbox such as Adventure Tower (rappelling, wall climbing, and freefall), Aerial Walk, Outdoor Archery, Giant Swing, Avatar One Zipline, and ATV/UTV rides. But the star attractions for that weekend were the Field Day events in the afternoon. People looked to the skies as participants for kite design and kite-flying sessions showed off their high-flying creations. In sessions called Wildernecessities, experts from the local Aeta community and the UP Mountaineering Club demonstrated field survival techniques. Participants learned survival skills like how to kindle a fire using stones and how to drink water from and cook food using a bamboo stalk. As the afternoon wore on, children and adults alike were drawn to the drumbeats of the Adinkra Lumads Djembe Community. Beyond being listeners, people soon became participants and found their rhythm in a much-applauded community drum circle. Those who sought to move and sway with the beat were helped along in flow arts movement sessions with poi, hoops, ribbons and other props. Experts from Flow Collective led this rhythmic and artistic movement. With snacks and cool treats from concessionaires across the camping grounds, Weekend Campers settled in for tent-pitching 101 from Coleman’s camping pros, a bonfire session with s’mores treats, telescope classes, and stargazing and star mapping sessions led by the UP Astro Society. The outdoor stage show opened with Ring of Fire, a collaboration of Flow Collective and Adinkra Lumads, followed byShadowtales, a silhouette puppet theater show that narrated the story of the Sun and the Moon (Tale of Araw and Buwan), written and performed exclusively for the event. The stage was all set for the Brightscape Music Jam by early evening. Brightscape participants cheered and jammed with music stars Barbie Almalbis, Imago, Quest, The Ransom Collective, Chocolate Factory, Brisom, Absolute Play, and the Adinkra Lumads throughout their performance. We’ve ended up the night after the Music Jam with releasing of the balloons to the beat of Quest music. This is not the ordinary balloons that we used to see in a party, this balloons has blinking lights inside, so when it fly to the sky, it looks like stars. Camp broke the next day with a hearty buffet breakfast before campers had a last chance to revel in SandBox attractions throughout the morning. With all these adventures enjoyed by families and friends, the Alviera Brightscape Campfest provided the highlight of the summer season and signified many great things ahead for Alviera. 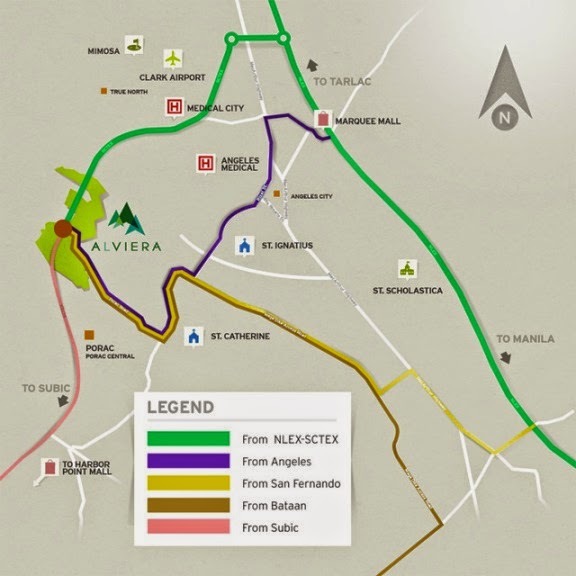 Alviera is a 1,100-hectare master planned development by Ayala Land, Inc. and Leonio Land. The estate is minutes away from Clark, Angeles and Subic, and is about an hour and a half away from Quezon City via the NLEX-SCTEX. If you are planning to visit Sandbox, you may want to check this photo for the entrance fee and available packages. And by following the steps below. Listen, gear up and enjoy the ride!